To understand your flooring needs its first important to cover flooring types. 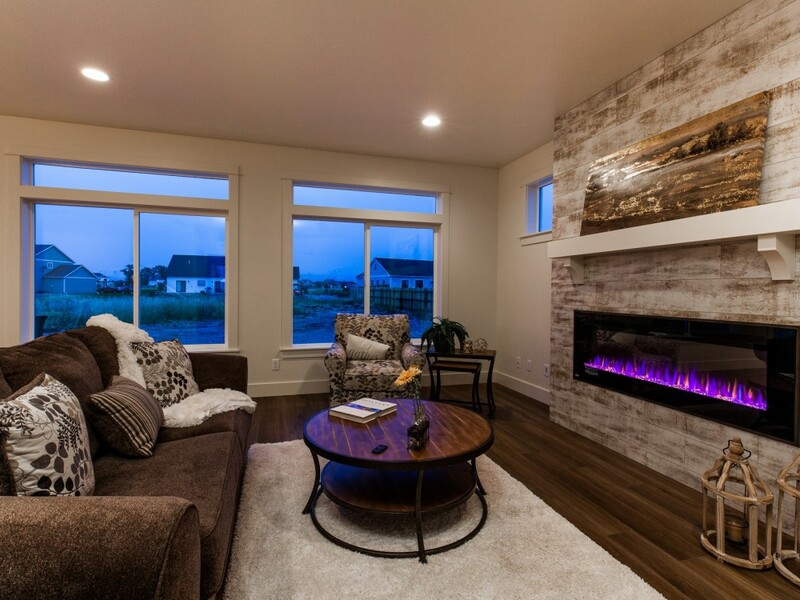 There are three major wood categories that Sunrise Homes of Montana offers. Laminate Flooring - Gone are the days of sawdust floors, a new generation of laminates have emerged in the last few years. Glue and fibers hold these floors together with a printed wood look and a finish coat for protection. These floors are fake but that does not mean they are not a great option for many families. Engineered Flooring - Real wood top with plywood bases. These floors give you the feel of real wood with out some of the massive costs. Hardwood - Real wood through and through. With proper care these floors will last forever. For many people laminate floors remind them of the terrible cheap floors of the early 2000's. This was a time where even a spot of water on the floor would make them swell and turn to a lumpy mess. Now laminates are different and thank goodness for that! Today almost every laminate has some sort of water resistance built in. The higher the price point typically means the higher the water resistance. Sunrise Homes offer laminates in our base homes but the water resistance is only for 12 hours. Our highest level product, and yes most expensive laminate, come in as waterproof which even hardwoods can't boast. Laminates also offer something that both engineered and hardwoods rarely supply, scratch resistance. Well many engineered and hardwood floors are finished with layers of portectant to prevent scratching, laminates tend to have far more resistance. All our floors are an AC3 or AC4. These ratings are the abrasion class and put our flooring at the top of the resistance for residential use and suitable for commercial spaces. Meaning they are hard a rock and wont scratch from dog paws! 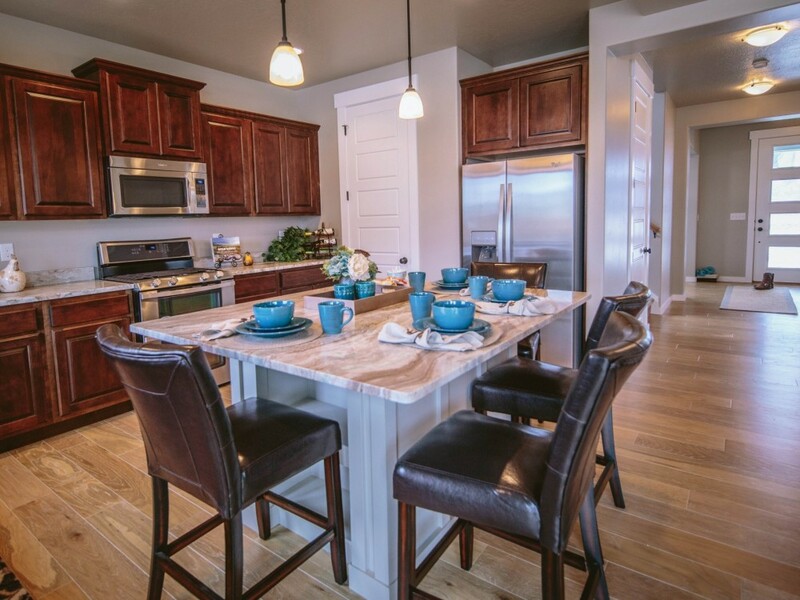 These floors are an amazing option for most Montana families. They will last a long time with many families and will resist most of what Montana has to offer. Don't be afraid of laminate floors as long as you go in knowing your family and knowing what kind of protection you need. Possibly the best of both worlds engineered floors offer a great option. These floors are a really wood layer paired with plywood layers underneath. These plywood layers help stabilize the planks allowing them to retain their shape more readily then hardwoods during the dry Montana winters. Because of their top layer, engineered woods give you the beauty of real wood but the stability of laminate. 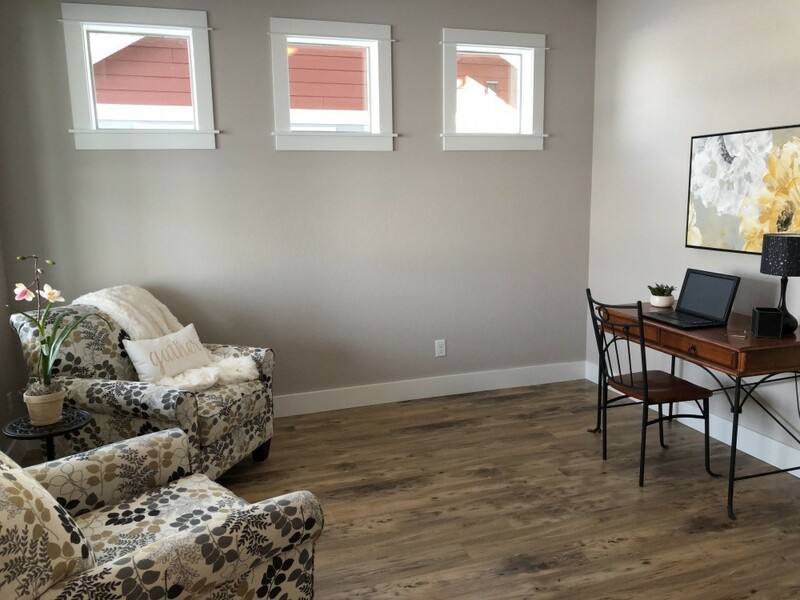 Engineered floors are highly suggested in Montana for those wanting the real wood look but don't plan on installing a humidifier in their homes. Yet as with all things there are down sides. Well the real wood top does allow for the planks underneath to maintain the structure of the wood it does mean that there is only so much real wood to deal with. Engineered woods cannot be sanded down and refinished like hardwoods floors can. The layer of real wood is rather thin and means that an aggressive sanding would tear through too the plywood. Also, like hardwoods these are real wood on top, meaning that they are not as resistant to scratching as laminates. Well all of our floors do have several layers of finish coat to prevent scratching, big dogs, rolling chairs, and furniture can still do damage to that layer and leave visible scratching. Ok, so you know about the scratching of hardwood floors and you promise to cut your dogs nails. You are also aware that you should get a humidifier to ensure your hardwoods don't flex as much during the winter (Sunrise can Custom Option you one). But you still want hardwood floors... that is wonderful! If you go into hardwood floors knowing how to take care of them, then they are a fantastic option for your home. Hardwoods are amazing for several reasons. First, they are 100% natural (FSC and Floor Score certified of course)! This means that your getting real wood without a lot of binders and finishes. Second, they last a long time! If you protect your floors and keep them clean and dry these floors will last for the life of your house. 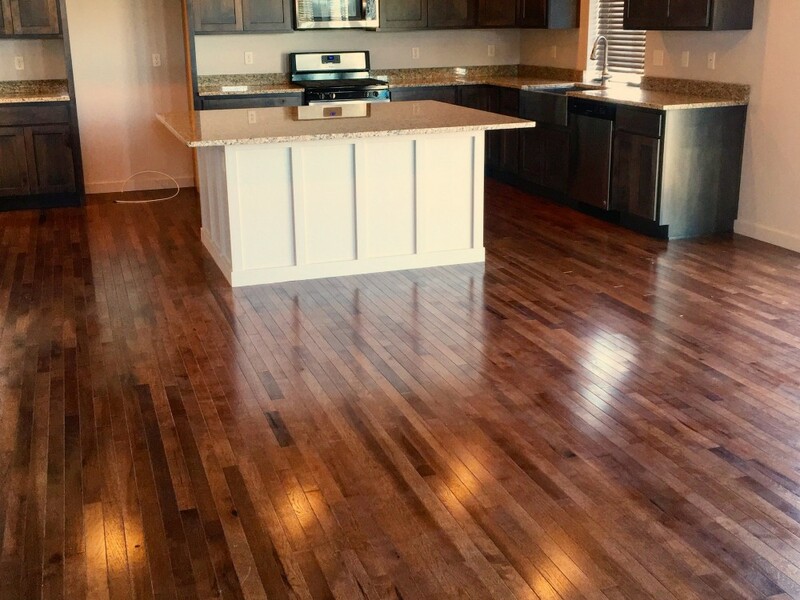 Hardwoods are truly a great option if you are looking for your forever home. They can be sanded down and restained to match changing styles and they can be refinished for a clean look over and over again. Hardwoods are a commitment but they can be a wonderful option for your home! Now that you know all about wood floors you can make the right choice for your family. And don't worry, Sunrise Homes is here to help you through the selection process for your Sunrise home. We will let you know your options and help ensure that its be best choice for you! Weather your building your forever home or taking on two kids two dogs and a gold fish, we have a flooring that will work for you. Click the button below to get more info on our process or start building your Sunrise home today! Ready to start the process of buying a Sunrise home? Looking for more information about the homes we offer?